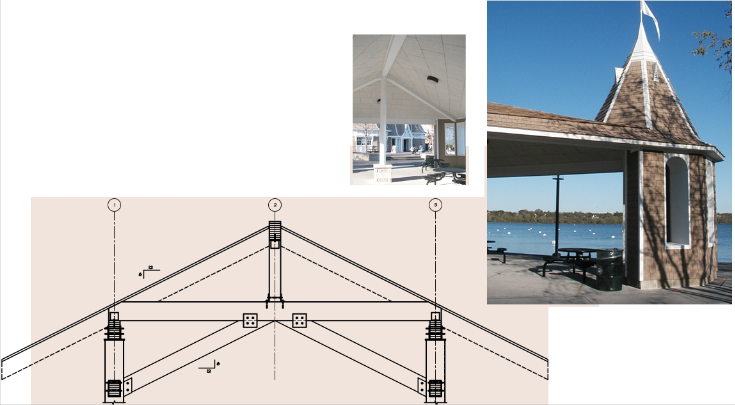 Lake Harriet and Minnehaha Park now have new park shelters constructed with glu-lam beams, galvanized steel columns and custom beam to beam connections. MMY provided designs focused on simplicity and longevity. These structures were designed to be robust as well as aesthetically pleasing. 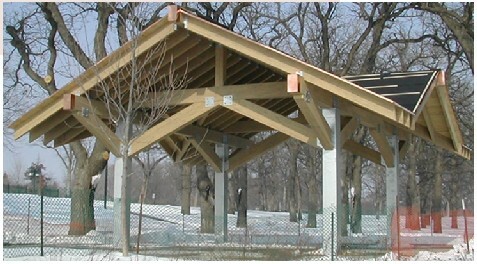 The sizes of the glu-lam members and the structural detailing were chosen to satisfy architectural requirements and carry the wind and snow loads imposed on them.